Click on the link to the left to open this presentation. 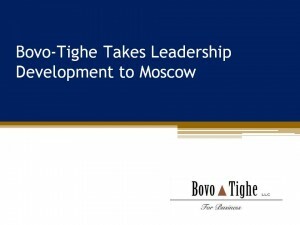 Bovo-Tighe continues to expand its international presence. Here is a visual summary of work we did this year in Moscow for one of our energy industry clients. The project centered on developing more effective leadership skills and mindsets, and so far has had a very positive impact on the productivity of the participants. Ask us for more details about what has happened and what the future holds for the participants! 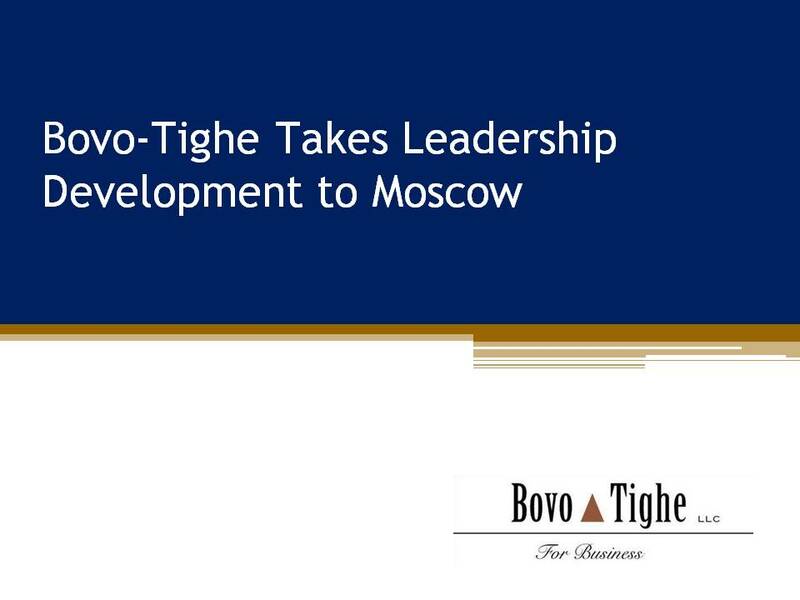 View more presentations from Bovo-Tighe LLC.